The next London gin to grace your glass. Management consultant Ian Puddick and his dad Ron. Rumour has it when Ian took over a new office space in Palmers Green, North London there was a dispute over a chimney. A little bit of digging into the history of the mews led Puddick to discover that it was once a bakery and an undercover, illicit gin distillery. Cue: the founding of Old Bakery Gin – Puddick's new business venture and now-legal distillery. It's not a burner, but the cracked black pepper through the spirit will leave a little tickle on your tongue. There are only five botanicals (four in the London Dry version) involved in the making of this gin, which gives you plenty of room to play around with your serve. Pair with a premium tonic then garnish with the likes of blood orange and rosemary, fresh strawberries or even a slice of fresh grapefruit with a sprig of basil. Old Bakery Gin's range is stocked all over London, including the famed Gerry's of Soho. If you want to work up a thirst before your next G&T then you could always take yourself to Harrods, Fortnum & Mason or Harvey Nichols as well. 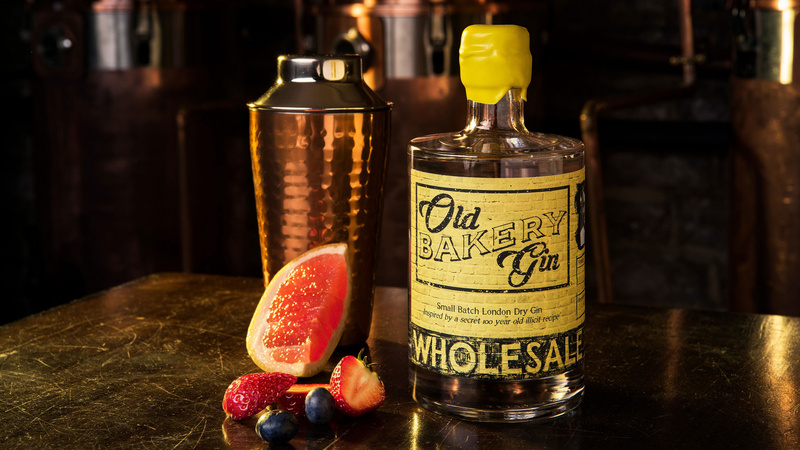 Alternatively, head online and browse the full list of stockists on Old Bakery Gin's website (oldbakerygin.com). Prices start at £40.